Peter Mentekidis is a junior at Ludlow High School. This is his first year contributing to The Cub, but it is hopefully not his last. 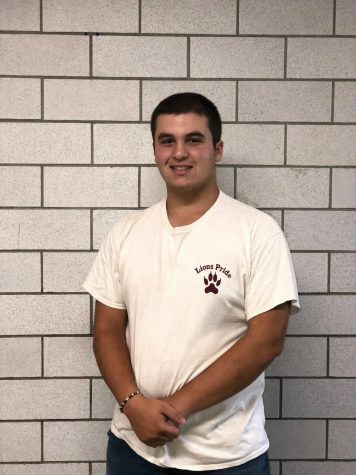 He likes football, comic strips like Big Nate and Calvin and Hobbes, editorials, Drew Magary, and video games.He is a lineman for the football team, and he throws the shot put for both indoor and outdoor track. He is a fan of the New York Jets. Peter is trying his hand here with writing here at The Cub, and he hopes to spark conversation, generate laughter, and call attention to things that need to be talked about. Peter does want to go to college, but he is not sure what college he wants to go to yet. He knows that he wants to go to a college in-state. Peter does not know what he wants to do in the future, but he knows he wants to have a writing career in the future.